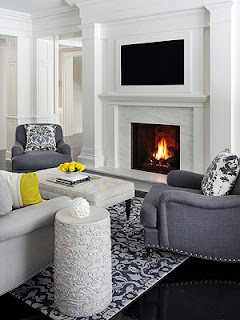 There are many things to think about when deciding whether or not to hang your TV over your fireplace in addition to if it enhances the look of your decor. Important to consider are the viewing height of your TV, heat coming from the fireplace, and mounting and hook up requirements. Check out this guide from Better Homes and Gardens first.